Interview with Iarla Ó Lionáird. 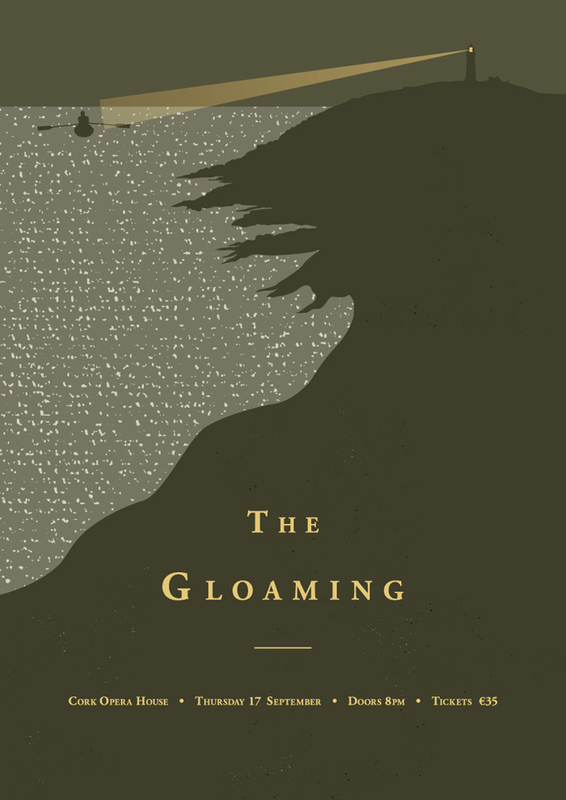 The Gloaming’s self-titled debut album has been gracing the earth’s atmosphere ever since its release back in 2013. The super-group features New York pianist Thomas Bartlett (Doveman, Anthony and the Johnsons, Martha Wainwright), Chicago guitarist Dennis Cahill, Irish sean-nos singer Iarla Ó Lionáird, fiddler and hardanger innovator Caoimhín Ó Raghallaigh and fiddle master Martin Hayes. A common thread that connects these gifted musicians together is the masterful use of language, sentiment and desire to elicit emotion of the truest and rawest kind. Ó Lionáird’s mesmerising voice blends majestically alongside the fiddle of Hayes and Ó Raghallaigh’s trusted Hardanger d’Amore. The opening ‘Song 44’ comprises of lyrics adapted from original poem no. 44 by poet Domhnall Mac Cárthaigh. An unfathomable beauty is unleashed by The Gloaming that utters, with every sacred note, to phrase a poet: “the godly-given prize” of true art and treasured music. ‘The Necklace of Wrens’ contains lyrics adapted from the original poem by Michael Hartnett. 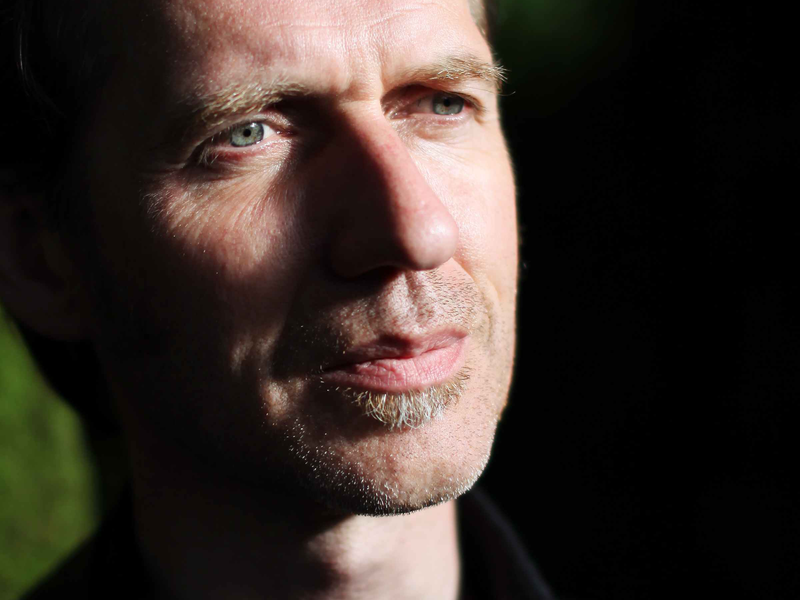 The piano line of Bartlett serves the aching pulse to Ó Lionáird’s fragile vocal delivery. Some moments later, Cahill’s guitar adds new layers of depth and elegance. The words and music of ‘Opening Set’ — the album’s longest cut — represents the crowning jewel of the group’s towering debut album. Distinct movements begin and end throughout the heavenly sixteen minutes, as the instrumentation of guitar, voice, fiddle and piano casts an everlasting spell upon you that further confirms the abundance and exceeding beauty of its native music. It wears its weight of age. One of Iarla’s latest projects is the special collaboration with American composer Dan Trueman, poet Paul Muldoon and American ensemble eighth blackbird, entitled Olagón. In the legendary Irish tale Táin Bó Cúailnge, two brothers are forced to battle one another for three days. Cuchulainn slays Ferdia, and lets loose a powerful, guttural, mournful cry, the cry known as “olagón”. The rich and conflicted notion of “olagón” is the starting point for a new hour-long concert work, created by composer/performer Dan Trueman, Pulitzer Prize-winning poet Paul Muldoon, singer Iarla Ó Lionáird, and ensemble eighth blackbird. Interview with Iarla O’ Lionaird. 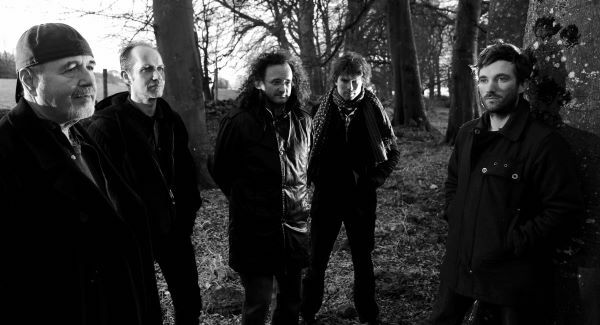 It would be wonderful first of all to talk about The Gloaming; it’s such a special album with all these incredible musicians and the result when you all come together and in turn, what you create is so magical. Iarla Ó Lionáird: Well we don’t get to play together too often and maybe that’s why it works out [laughs]. But it is part of it I think that we don’t do it too often, funnily enough because I think when you do something very often – and you’re very good at it – the problem is you’re very good at doing the same thing. And I think the way The Gloaming is set up, you don’t get to do it so often and falling into an habitual way of playing so it always feels fresh and on the edge and at the risk of doing ourselves some reputational damage we’re always a little bit under-rehearsed as well but just enough to do the gig. And even the last time we played, we had an hour’s worth of new material – quite fresh and not totally understood maybe but we were going to go for it anyway – so I think there are some of the other things that keep things fresh for us and it creates a sense of adventure when we meet because you don’t know for example how long a tune is going to last or how quite to set up something; we just let things happen as much as possible. That is not to say we’re lazy about it, we do want to hit the sweet spot if possible and that’s the biggest challenge to stay fresh and to hit the sweet spot and to keep doing it. The fact that you are all involved with your own projects as well, for example with the projects you’re involved with in the meantime and then when you go back and for the others too, it must give you new perspective when going back to The Gloaming and you may have a different approach than the last time? IÓL: Yeah I mean I think a couple of things happen when we get back together that I really like. First of all, I’m always a bit surprised at how nice it is, how nice it feels you know and how powerful and emotional it is. I suppose it’s how good these guys are, I’m speaking just as a singer. These guys are so good, they’re able to do things on the fly and they’re so responsive to each other. I mean from the very early time, I was surprised by that, you know. I mean it’s an odd thing to say that I would be surprised by such a thing because I have worked with other bands and other groups but these guys are very instinctive and lead-footed and also they reach into emotional territory very quickly by the way they play, each and every one of them. So when you’re in their midst and you haven’t been for a while, I always get this powerful feeling you know. There is this energy generated and it’s a very emotional feeling, very emotional energy and I love it and it surprises me usually. You’re right, when you’re away from it and you’re doing other things, some of the things I undertake when I’m away from it are very difficult – I find them difficult anyway – complicated and I end up outside of my comfort zone but when I meet the Gloaming, the challenge is different. I find it’s very comfortable but at the same time it’s edgy and I’m on the edge of my seat wondering what’s going to happen and also really enjoying the feelings that we generate with the audience, I think that also came as a surprise to me compared to other things that I’ve done which might be a bit cerebral comparatively. This stuff with the Gloaming especially as we don’t do it too often to become too self-aware, it always moves us a lot as well which is a huge bonus. I love how the album itself – and it’s been a common theme from previous records in the past – takes traditional material and utilizing or adapting it to your own needs and into music. It’s something very powerful, even some of the specific lyrics on the album for example. IÓL: Well the funny thing is of all of us in the band the only person who really decided to be a traditional musician was Caoimhín [Ó Raghallaigh] if you like because he grew up in Dublin that’s not to say that Dublin is any lesser of an area for traditional music. But Martin [Hayes] and I were born into it, do you know what I mean, we just didn’t have a choice. 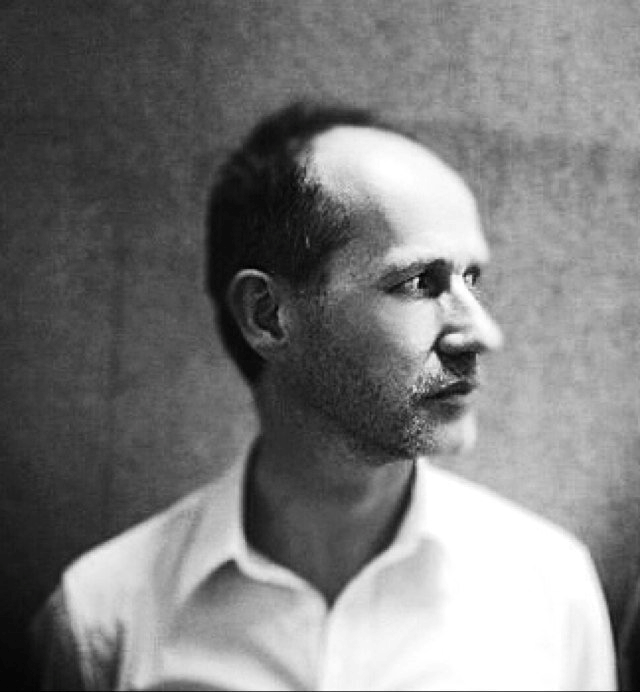 And Thomas [Bartlett] also comes from the outside but I feel that myself and Martin if we hadn’t grown up with traditional music, we could have become something else entirely even if we were musicians we could be other kinds of musicians. So I think there is a desire amongst us – certainly myself and I’ve discussed it with the lads many times – to bend the tradition to our will and to imagine ourselves maybe not even as traditional musicians. It just so happens that is the sandbox we find ourselves in and this area of play if you like and that’s the language we use. To all intents and purposes I mean –I’ve often said it before – if you listen to the playlists that people have on their iPods in the Gloaming you might be surprised of the lack of traditional music through it [laughs]. It might be embarrassing but the fact is many of my colleagues in the Gloaming would spend much more time listening to other forms whether it be interpretative jazz or progressive alternative music in the pop area and then also mixing that up with very old retrieval stance when it comes to traditional music. So we try to bend it to our will. I love old text sources. Just to give you the impact, I was down in the studio working on something for this group 3epkano who do movie soundtracks and I’m a guest vocalist with them and my usual aim there is I listen to the backing track and I have a bunch of lyrics and I just let things happen. I just see what pops out and then I start crafting that so there is no plan; whatever comes out is already inside but I didn’t see it. So, it’s almost like a question of I really believe it’s inside and I just let it out. Even in this day and age, there are so many artists that can’t be pigeon-holed in the best way possible in the sense that people like yourself there is no boundaries and you wouldn’t know what project you’d do next which is obviously a great thing. IÓL: Yeah I mean there is a certain amount of freedom, obviously there are some limits, I mean people would be shocked –perhaps horrified – if I did rap or something like that, I would be more shocked even [laughs]. But there are limits I mean there are aesthetic directions that we are drawn to but the interesting thing is these aesthetic directions, they superimpose, they overlord genre. That’s an interesting distinction I would like to make, these aesthetic choices musicians make today, they have an overlordship over genre, historically derived consideration. So that in other words, someone of my own background in traditional singing doesn’t have a philosophical difficulty with working in neo-classical or in realms of music that is more alternative pop or whatever or alternative rock or progressive modern music. There are limits to my own creativity and my aesthetic is what creates boundaries for me more than anything else, things that I would like, things that would appeal but not genre so much funnily enough. But that also speaks to the truth that genre all over the world is opening up, not just our traditional music. In other words there is more permeability in the pop world to a degree, in the classical world to a degree and folk music has gone through a huge revolution in the last ten years. It’s very trendy to be a folk musician now [laughs]. I mean I even see on your own stuff online under Fractured Air, folk is there as well as these other forms of modern music. So like when I was growing up, folk was not trendy [laughs]. I’m not saying you’re trendy but it was very much in its own –I don’t want to use the word get-out because that would suggest people didn’t like being in it – but it was in its own zone and the freedom of movement between genre that we see now simply didn’t exist so it’s actually a great time to be creative. I can’t wait to hear your newer project with Dan Trueman, Olagón, which sounds really interesting altogether. IÓL: [laughs] That’s going to be very weird, I can definitely say that. One of the challenges with Olagón is that we went to Paul Muldoon with this rather nice idea you know, an idea that had a certain coherence: Cuchulainn’s lament for Ferdia upon killing him which in itself is rather Irish – I’ll kill you but then I’ll lament you [laughs] – almost thespian. We went to him with that idea and we came back with something really quite evocatively different. And then because he had done it and because he worked so hard on it and it was so good, we have had to mock-run it and one of the challenges for me in that piece which we’re working on at the moment with eighth blackbird, we meet every 3 or 4 months to workshop it, usually in the United States and right now Dan Trueman is working quite feverishly at aspects of it. I had to decide at one point how many Iarlas there are. Normally I could be one sort of character doing a show, you know the Gloaming or whatever but in this project I’m having to unpack what it is to be an Irish folk musician into many different and distinct parts. I’ve been listening to The Dubliners, I’ve been listening to traveller music, I’ve been listening to sean-nós all of them are finding a voice in me so that’s very odd for me and very good for me I think. I suppose you crossed paths with Dan Trueman quite a while ago, Iarla? IÓL: Oh I did. Actually the funny thing is when I first got to know Caoimhín O’ Raghallaigh, he’s a great pal of mine: I adore Caoimhín, he’s such a wonderful friend and such a beautiful presence in our musical lives and he is a true friend. And he brought Dan down to see me when Dan was visiting Ireland having spoken to me about him quite a bit. So ever since then Dan and I have been very good friends and he’s a wonderful man, he did quite a lot of work for me a couple of years ago when I was performing with the RTÉ National Concert Orchestra, he did three of my songs for orchestra and he did a magnificent job, a standout job. So I’ve been over and back to him quite a bit in Princeton where he works and it’s been very interesting and very challenging I hasten to add. Dan likes complex music, I think he is aware of my limitations but I suppose quite rightly he’s not making it easier for me either [laughs], sometimes I wish he did. When you’re writing new works, for example the Vanburgh String Quartet earlier this year, you’re working away quietly and then when it comes to the performance and the touring; it must be very rewarding to see how an idea unfolds to the resultant music. IÓL: It is, I mean you are quite right a lot of it is quiet backroom stuff for months and months and months and in the case of Olagón with Dan Trueman years, we won’t actually perform that to the public until 2017 having started talking about it a year ago. With the Linda Buckley pieces for the Vanburgh that was a very enjoyable experience for me. I felt that she wrote very beautifully for me, very knowing of what I would like to do but at the same time, bringing me somewhere I hadn’t been. A lot of it is because she is a singer herself and I remember listening to the mock-ups and I thought they were so beautiful and at one point I told her maybe I shouldn’t sing on them at all, she should do it herself [laughs] because they sounded so good. You’re right there is an aspect of you’re sitting in the studio on your own a fair bit for long periods of time. And you’re always working closely with colleagues on imagining many different things: first of all, it changes from composer to composer, in the case of Dan Trueman I’m co-writing with him so I end up frequently writing a lot of the melodic lines I sing myself, in the case of Linda, I asked her to create something and I’m glad I did so it can change. There is a lot of to-ing and fro-ing in terms of the fine detail and then there’s the rehearsal phase, which is very difficult sometimes because I don’t read music functionally and so therefore I have to learn things by heart and I have to find a way of being in the place I’m supposed to be with an ensemble and at the same time understanding their dynamic, their sense of flow and their sense of time and then at the same time performing and it really takes me up to the wire to get it. I mean in the case of Linda, I do remember the rehearsals being worrisome – that was the only worrisome part of it – the performances were just great and it’s beautiful when it comes together in the end, you get a sense that you created something that didn’t exist before which is very special. Your collaboration with Gavin Bryars was very special as well and the setting of the old Irish text formed the basis of it I suppose. I just loved the instrumentation with your voice on that particular record. IÓL: That’s right. We were very lucky that some academic work had been done on providing a collection of ‘Lon Anama’, which is Food for the Soul which was a spiritual text or collections down through the ages, going back 1500 years, a long way back. We’re uniquely positioned in Ireland because you can locate very ancient textual poetic works – by any standard very ancient in written form through the various phases in history, medieval, pre-Christian, Early Christian and through the phases of the evolution of the Irish language. It does change quite a bit, I mean early Irish is almost unrecognizable compared to modern Irish in its syntax and structure and sound. I don’t obsess over it every day of the week but I absolutely love being aware of our pre-history not just as Irish people but as human beings, our mysterious paleontology going way, way back to when we stood upright at all. And our own story as Irish people is mostly overlooked really by people because it’s in a language that they’re not comfortable with, which is tragic but understandable. I remember I grew up speaking Irish – I made no effort to learn Irish – had I made an effort I wouldn’t speak it at all. So I’m very sympathetic to people who don’t share my fluency or my ease with the language but what it does allow me to do is to navigate through time at will and I absolutely have a huge yearning for that. I inherited it from my parents actually. And even with the Gloaming I was using very ancient text sources because they’re just so beautiful and they’re so poignant and they still speak very clearly to me today with absolute clarity they speak out and they do to most people who are interested in words if they could take the time to read them, even in translation and to sound them out in their own language is also very beautiful. And the other thing I should say is I find the Irish language a very beautiful thing to sing. It just sounds great, it’s got a beautiful vowel-shaped structure and sound meaning in itself and I feel very comfortable with it and I feel blessed that I love doing it. There are those who would say you’re a missionary to bring it into the contemporary world; I don’t see it that way as such but having said that it’s probably inevitable because I listen to so much music from now and so my ears and my eyes they meet inside the text and inevitably then I make it contemporary. 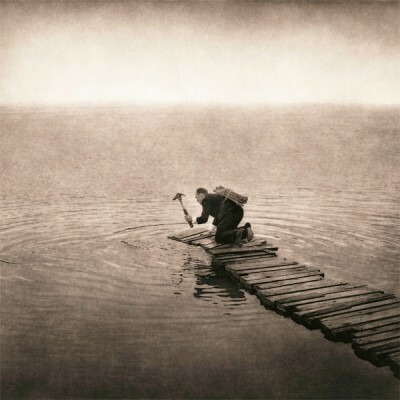 I love also the aesthetic of The Gloaming’s album where there is obviously periods of instrumental music and then your voice coming in at the different parts, almost like a collage in a way. It makes it more poignant then when your voice returns. IÓL: Yeah I suppose so, that’s the kind of band it is. It’s not a band in the sense that there will be a song followed by a song followed by another song. And curiously enough when you look at my career such as it is that was the kind of thing I was always doing even with the Afro Celt Soundsystem. Each album was pretty much a mixture of songs and instrumental work. I like it because in a sense although I listen to a lot of instrumental music and singing, the human voice is interesting because when you’re not hearing it, part of you is waiting for it and then when you hear it you get this massive –well probably automatic so it’s not always noticeable – but you do get this sense that there is a connection made. So in a sense the fact that I’m not always there is a huge advantage for me because when I come in, it’s audibly an additional, humanised message. But having said that again I have to remind myself that to compare like Martin Hayes, he uses his instrument as though it were a voice: it’s so liquid and it’s so languid and he tells me that he feels like he’s singing and he breathes when he’s playing as though he were singing. And that’s also fascinating for me to consider and I never really considered it until I was with The Gloaming. But each instrument that these guys play is an extension of their human, physical desire to express and to emote and to feel. Each of them are saturated in this sound field that they create which is a feedback loop, which manipulates their intonation and every aspect of the sound that they’re making so that they’re satisfying a message they want to send out. It’s a beautiful complex and to be in the middle of that in a live show, you know I often think that I’m cheating because the harmonium allows me to sit there with them; thank God for the harmonium because I don’t want to be walking on and off. Even though I do walk on and off as it were on the records, I’m there all the time onstage, I absolutely love it, it’s an incredible privilege. I’ve always wanted to be in sessions but I couldn’t [laughs] so I was very jealous at that. As a singer you wouldn’t be involved in the same way, you know. I’d love for you to go back Iarla to the period of time when you were in a choir and the whole world of sean-nos and how you developed your singing voice. IÓL: Well I was in a choir from the time I was a little boy and it was a great proving ground. I’ve often used the metaphor that it was like being in a little group of trees and there were little trees and there were big trees and the big trees shaded you and allowed you to grow. It was a safe place to be, you weren’t exposed and also there was great listening. I recall particularly being in listening mode whilst singing: hearing the different voices, the different colours and also there was of course the exploration of repertoire and the different things that asks of your voice all inside a sort of protected sphere that helps you to nurture your talents. And I’ll be honest as well, there came a time when I started imagining how would I do this where the “I” started to be more important than the “we” but that’s natural and that’s also a good place for that to happen: a choir. Many is the singer across the world have started their singing experience in choirs; it gives you a confidence, it gives you some knowledge of the range of what’s possible but it also is a safe place to expand and to grow. I took a lot of lessons from Peader O’ Riada then on weekends – a small group of us used to go to his house – and that was really great where I started digging more deeply into very old songs. I was very young, I mean I started going there when I was about eight or nine and continued until I started recording my early recordings of these big vision songs. But perhaps I shouldn’t have been doing it when I was only a little boy but I was very drawn to them even though I didn’t understand really fully perhaps what emotional language they were trying to express because they were adult themes. But singing in the choir was a beautiful experience for me. I mean I do tend to idolize it but it was great craic as well, the Cuil Aodha people were great craic and there was great craic to be had travelling with them, a joyousness. Also we would sing of course in a cultural sense like in our own small society, we had a function you know: singing at mass, singing at funerals, things like that. So you manage to track the different phases of life through music which is also for me very important to realize that music could have a real function in society, a real place in everyday life as it does in many countries other than the west. Like with any artist when you look through the different albums, I love how each album tells its own unique story but there is a certain special space in time for each one where there is that particular place that each one brings you to as a listener. IÓL: That’s true I mean it’s almost impossible to make a record, in a way there would be something wrong with a record if it didn’t in somehow or other demonstrate the “now” of your life, you know even if you don’t want it to it will. My first recording with Real World [‘The Seven Steps to Mercy’], I was much younger – it was 1997 – I suppose they wanted me to do a record that had evidence of an older culture but at the same time, was brought into the contemporary world. The next record then I made [‘I Could Read The Sky’] – I made it here at home where I’m sitting here now – in my studio and that was a very personal record; very empowering because I was producing it myself and I had a great colleague with me, Kieren Lynch; an engineer for many movies and many different people, he’s a great guy from Donegal. And he worked so hard and he was so dedicated. On that record I was able to write about the fact that I had just become a Dad and so forth. My little son is in it actually, saying the word ‘hedgehog’ [laughs], it’s the only thing he says in it [laughs] because I actually liked the way he said it, you can barely hear it. There’s a song on there about my daughter. 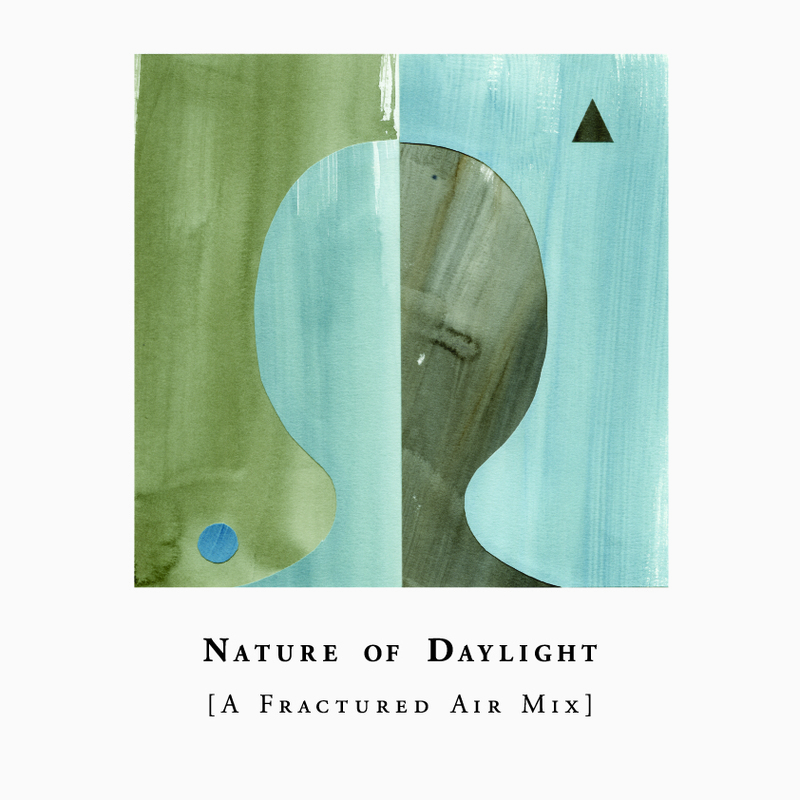 Then the next record, ‘Foxlight’ I made with a really great English producer Leo Abrahams. I made that here and in London. I was a good bit older by then and really when you turn forty you start thinking in a different way; maybe I was suffering from tired Dad syndrome to some extent. These things track different phases of your life in an odd kind of way. I’m not sure if The Gloaming has done that funnily enough because it’s not that autobiographical but we’ll see what the next record turns out like. As you say that Iarla, I wonder can you shed some light on the new music because there must be a considerable amount of material collected at this stage? IÓL: There is actually. When we played last spring in Dublin we felt we really needed to start creating new material, so we did go into a studio for a while – or into a room rather – and we created about an hour and a half of new material including lots of new songs. We’ve decided we’re going into the studio sometime in early December, it’s all booked and we’re going to put those down. I mean some of them aren’t fixed yet. There is one song of my own which I have written myself which is not finished so I’ll have to sit down with Thomas one of these days [laughs] and get him to finish it with me. But there is a lot of new material and I like it I must say. It’s using what we have learned in terms of how to be together a bit better and it’s not throwing the baby out of the bath water because we don’t need to do that yet, it’s stepping further into the water of being together. So when we made the first record it came together very quick. We may not have fully understood; what the first record told us was that there was so much we could do, you know. It only told us that afterwards really and this next record is just another step in that direction. But I have a fair idea about what it’s going to be like and I’m quite excited about it. There will be just a bit more integration with the songs and the tunes. The first record was like two people watching each other in a dance hall [laughs], wondering which one is going to blink first but on this new record they get to dance more. One last thing Iarla, has there been any music, books or films you’ve been inspired by in the past while? IÓL: I’m inspired by every kind of thing that’s the truth now. I made a distinct decision about less than a year ago to start listening to more music. When you’re a Dad with young kids for a period of time your life really changes and it takes a while to get back into sort of ‘me’ mode. But I have a new stereo [laughs] and I’ve been listening to a huge amount of music. One of the things I like very much is listening to all kinds of things and there is something to be got from everything. I’m buying a lot of vinyl now with my son – he’s fourteen – he’s into Godspeed! You Black Emperor and whenever I say that to people they say, wow, he’s cool; he’s a lot cooler than I am [laughs]. He found that himself and he listens to a lot of things himself online and he knows what he likes. But we’re buying a lot of vinyl, most of the vinyl came out in the 70’s and 60’s, we’ve been buying a lot of jazz from the 50’s and early 60’s, we’ve been buying a lot of American music from 60’s and early 70’s, everything from Marvin Gaye to Tom Waits. He’s very much into ambient music so we’ve been listening to a lot of that; everything from Roedelius to Brian Eno. I have a huge collection of Brian Eno here, I’ve been listening to him for years. It’s a bit easy to say but it’s true, I used to buy his LP’s in Crowley’s in Cork when I was a young boy, as a teenager. I hitch-hiked to Cork from Ballyvourney when I was my son’s age. Now would I let him hitch to Dublin? I wouldn’t, I mean life has changed hasn’t it? But I remember buying ‘Music For Airports’ and God knows what else years ago. So it’s great having kids; I’m very fortunate my kids are into music and my son is just so into music, he’s so into listening to it and he’s a good piano player, he wants to learn the guitar and my girls and my wife, they’re mad into music – they love Lorde – I’ve been trying to get them into St. Vincent but they’re not biting – maybe they’re a little young, they’re like nine and twelve but they love Lorde. There’s a lot of good young women musicians out there now. I mean there always was, I was a huge fan of Joni Mitchell and people like that. I love listening to vinyl I must say, I don’t know why, I just like putting them on. I’ve been listening to Early Music for example and Early Baroque. I’ve been listening to The Books, I love their stuff. The Gloaming’s self-titled debut album is available now on Real World (EU) & Brassland (USA).